Has your air conditioning unit ever gone out during the summer? Living in Michigan during the summer can be tough. With the humidity and heat, it is important to have an effective AC unit to keep your home comfortable. Not only that, you need to have an efficient machine that doesn’t cause your energy bill to skyrocket. With AC Maintenance Services, your unit will work in top condition. 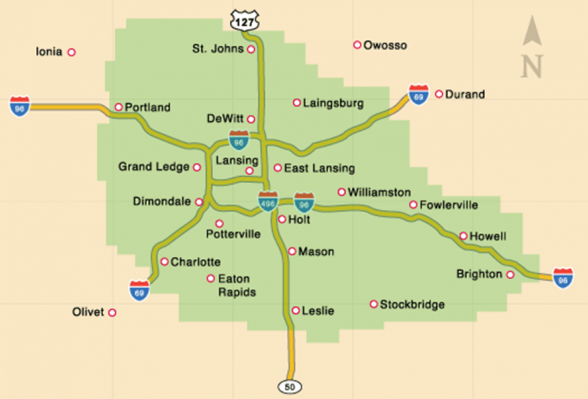 Since 1952, Applegate Home Comfort has been servicing HVAC units throughout Michigan. Homeowners can rest assured that their AC unit will be working all summer after maintenance. There are many benefits for getting regular maintenance on your AC unit. Here is a look at how you benefit and why it is best to work with Applegate for your maintenance needs. It may seem like you don’t need to worry about your AC unit during the winter, but there are actually a lot of problems that can occur while it is sitting idle. For one, the unit was probably running consistently during the summer. It has probably experienced plenty of wear and tear during that time. On top of that, your AC unit also collects dust and can become very dirty while not in use. The end product is a unit that is blowing dust particles into the air and making the air uncomfortable to breathe. This can be damaging for your respiratory health. It also causes wear to your unit that can lead to more costly repairs and replacements. It is best to get a maintenance check before the summer. Our experts at Applegate are well equipped to handle any of your maintenance needs. Because of our many years of service, we understand the common issues AC units have in Michigan. Maintenance will ensure that your AC is working effectively during the summer. Nobody wants to be stuck in the heat without AC. Maintenance at least once a year before the summer is the best option for homeowners. It’ll keep your energy bills low and extend the life of your unit. This means that you’ll spend less on repairs throughout the year. You also won’t have to spend money on replacing an entire unit as often. If you live in Michigan and want your AC unit to work as it should and cost you less money, it’s time to get services from Applegate Home Comfort. Our experts will provide your home with maintenance services that will keep you comfortable all year long. If you’d like to learn more about our services, be sure to contact us here or give us a call at 866.369.3057!